Whomp whomp. 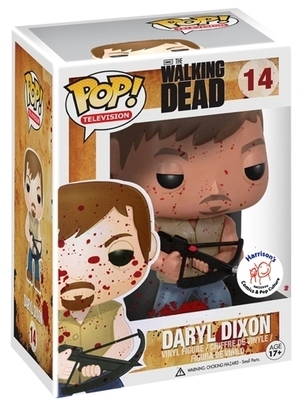 There're no Daryl Dixon (Blood Splattered Variation)s for sale. One of the 1st of 4 figures released in the first wave from the Walking Dead (TV) series, The figure is 3 and 3/4 inches tall and has 1 point of articulation.